The City of London is the principal financial district not only of London, but of the UK and Europe and one can find banks of many nations in the famous Threadneedle Street and the surrounding areas. Here, too, the Bank of England is situated. Nearby is the Stock Exchange. A little further along in Leadenhall Street is Lloyds, the most famous insurance company in the world. Fleet Street is famous as the home of the nation’s newspapers but, in fact, only two of them – The Daily Express and The Daily Telegraph – are still in Fleet Street. However, people still say “Fleet Street” when they mean “the press”. 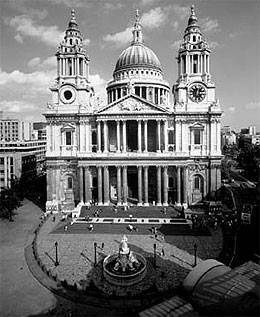 St Paul’s Cathedral – an Anglican cathedral and the seat of the Bishop of London. The present St Paul’s Cathedral was designed by the famous architect Sir Christopher Wren, after the Great Fire of London in 1666. Prince Charles and Lady Diana Spencer were married there in July 1981. The Tower of London, first built by William the Conqueror more than 900 years ago. 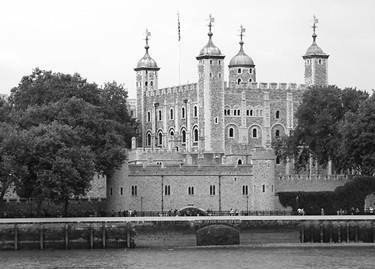 The tower’s primary function was a fortress, a royal palace, and a prison (particularly for high status and royal prisoners, such as the Princes in the Tower and the future Queen Elizabeth I). This last use has led to the phrase “sent to the Tower” (meaning “imprisoned”). It has also served as a place of execution and torture, an armoury, a treasury, a zoo, the Royal Mint, a public records office, an observatory, and since 1303, the home of the Crown Jewels of the United Kingdom. The West End occupies the area of central London north from The Mall to Oxford Street. It includes Trafalgar Square, the main shopping areas of Oxford Street and Bond Street, and the entertainment centers of Soho, Piccadilly Circus, Leicester Square and Shaftesbury. Soho is an entertainment district which for much of the later part of the 20th century had a reputation for its night life and film industry. Since the early 1980s the area has undergone considerable transformation and is now a fashionable district of upmarket restaurants and media offices. 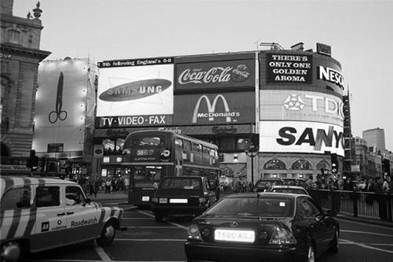 Piccadilly Circus – at the junction of five busy streets – is a famous London landmark. It is full of colorful electric displays. At its heart is a bronze fountain topped by a figure of a winged archer. The statue is popularly called EROS, the pagan god of love, but it was in fact designed in the 19th century as a symbol of Christian charity – a monument to Lord Shaftesbury, a philanthropist. The East End has many places of interest including many of London’s markets (for example Columbia Road Flower Market, Spitalfields Market, Brick Lane Market, Petticoat Lane Market). Docklands in the East End is a thriving and vibrant area with a wide range of shops, restaurants, pubs and wine bars.